Review: John Metcalfe – The Lantern, Colston Hall, Bristol. I’m going to admit this from the off – I don’t think I have the knowledge of or vocabulary to describe the mechanics of music performance to do the masterful John Metcalfe justice in this review. What I will say is that he and his collaborators produced what was one of the most wonderful and interesting performances I’ve seen in years. The experience was overwhelming at times with countless evocative compositions that were incredibly moving. 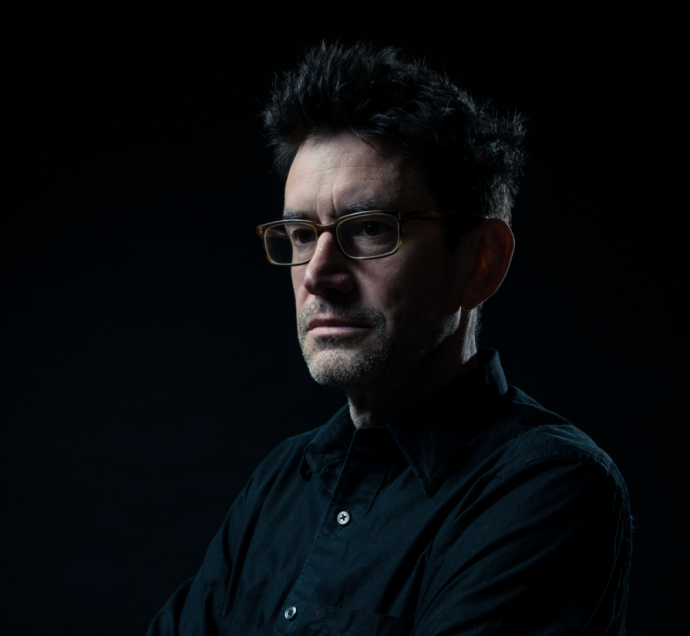 For those of you who don’t know John Metcalfe, and I didn’t before researching ahead of this gig, he is a composer, producer and arranger who has worked with the likes of Blur, Morrisey, Coldplay and Peter Gabriel, whilst he’s also performed with Durutti Column and the Max Richter Ensemble. Unsurprisingly, he’s an incredibly versatile musician and especially as a guitarist and violist. On his current tour, including this very night at The Lantern, Colston Hall, Metcalfe was joined by three truly phenomenal performers; Daisy Palmer, who drums for Rae Morris, Red Snapper’s bassist Ali Friend and the exquisite vocalist Rosie Doonan, who has recently been touring with Birdy. Together they performed a selection of his solo works including many tracks from his latest album, ‘The Appearance of Colour,’ which has been described as “effervescent, divinely beautiful, packed with Eno-esque passages of ambience and glistening guitar lines worthy of Vini Reilly” by Clash magazine and “staggeringly beautiful” by Mary Anne Hobbs on BBC 6Music. Upon his arrival, John Metcalfe came across as shy and understated as he briefly addressed the audience to introduce himself and express his gratitude for their attendance. The impression I got is that he’s a man that likes to stay out of the limelight, but when the music started I wished that every muso and I know and love was there to witness what I did. Early on a truly stunning piece of music nearing the 30-minute mark in length created a hypnotic journey that I felt emphasised the link between music and state of mind. It felt like a film score, grand and magnificent, and was married up with a visual masterpiece that showed colourful sound waves, skies with birds and collages bustling with vibrancy. It was mind-blowing and as stated earlier, I felt overwhelmed by it – it wasn’t just a piece of music, it was an experience. It was truly atmospheric, beaming with ethereal beauty. It prompted thoughts of the soundtrack to Spike Jonze’s film ‘Her’ and Coldplay’s Mylo Xyloto, but there were splashes of drum n bass and electronica and Doonan’s soothing vocals were therapeutic and mesmerising. When it ended, I was in a daze. “We thought we’d start with a nice short one,” Metcalfe joked. Shorter compositions with a structure and lyrical hooks followed that would have been more suited to a broader audience. Each number was incredibly powerful and evocative and all still had a very filmic essence with Doonan’s seductive vocal performance giving her a notable femme fatale-like appeal. “Plain To See,” was particularly dark and conjured up the image of a dark underground bar scene that could be found in the likes of Sin City. Doonan’s vocal was flawless and her range is stunning. Later, a performance of a song she had wrote, “Kite,” was just sublime. Metcalfe was very much the type to let the music do the talking, but when he did address the audience in between songs it felt genuine and he seemed humbled by the reaction. There was a touching moment when he introduced “Flood Tide,” the first song he’s apparently wrote, about a friend who took their own life. A moment of good humour preluded the lovely composition when he joked that we were fortunate that Rosie Doonan would be singing and not him. Again, this showed his modesty, but he and the aforementioned Palmer and Friend are just ridiculously talented and it felt like I was witnessing a masterclass in each of their disciplines. Metcalfe in particular was creating the most delicious sounds with the guitar and powerful, heart aching and gorgeous tones with the violin. Purely instrumental pieces created by the trio were captivating and none more so than “Sycamore” with its uplifting appeal, drum n bass feel and energising violin. As the music came to an end, Metcalfe and company received a standing ovation from the audience who clearly appreciated that they had witnessed the special talent. It was an enthralling set and actually felt quite exhausting in the best way possible. I don’t think I can say anything clever or particularly poignant to summarise the performance and do it justice – the only thing I can state is the obvious – if you get a chance to watch John Metcalfe then you really should. Hopefully, you’ll find the whole experience as spellbinding as I did. Find out more about John Metcalfe at his official website. Tagged ali friend, bristol, bristol music, colston hall, daisy palmer, john metcalfe, rosie doonan, the fix, the lantern. Bookmark the permalink.